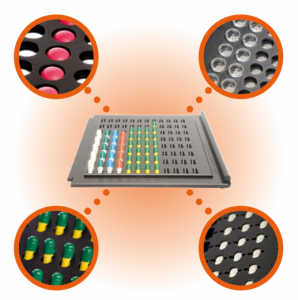 The TRS100 enables fast, easy to use whole tablet or capsule assay & polymorph analysis for pharmaceutical QC testing. The TRS100™ enables fast, easy to use content uniformity & polymorph analysis for regulated pharmaceutical testing. 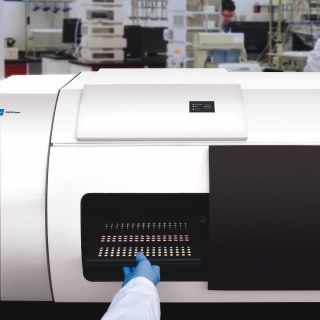 The TRS100 enables high-throughput, non-destructive, non-invasive bulk assay of all common dosage forms without sample preparation. 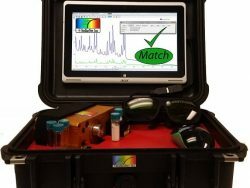 Easier to implement than other spectroscopic methods, transmission Raman (TRS™) technology allows simple method-development and deployment in QC applications. 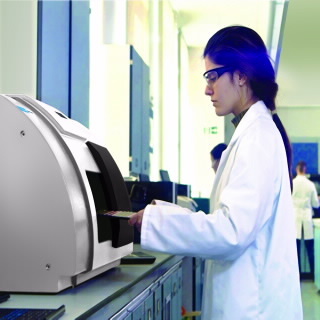 Operating a single TRS100 enables replacement of 8-10 HPLC units. 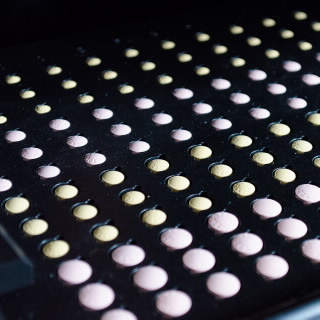 The TRS100 has a flexible sample tray system that can work with coated tablets, intact capsules, glass vials and powders to measure hundreds of samples per hour. Sample preparation and consumable items are not required. 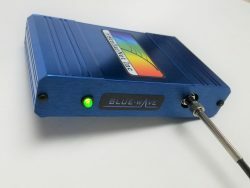 CU testing methods using Transmission Raman are approved by regulators. Switching to TRS from HPLC allows significant cost savings per batch and streamlined method development. 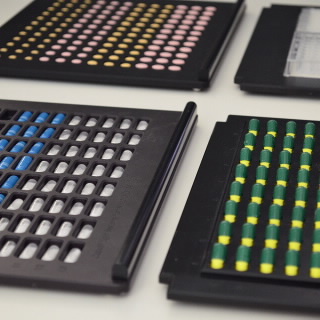 The TRS100 can be used for other applications, including quantitative measurement of polymorphic content in intact tablets <1% w/w – significantly better than XRPD. For formulation development work, the ease and flexibility of model building makes TRS a practical alternative to wet methods. The TRS100 needs no consumables or solvents and no preparatory chemical skills. 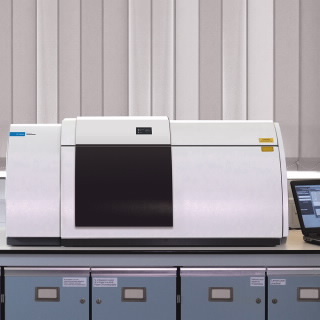 A single TRS100 CU batch report can be completed in <30 minutes from start to finish, which allows a high throughput for the QC function and low resource usage compared to traditional HPLC methods. 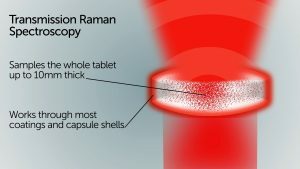 Compared with NIR, transmission Raman methods are easier to develop as scattering effects, such as those due to differences in tablet compaction, have a much smaller impact on the prediction result. 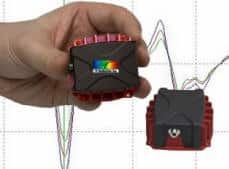 TRS is quicker, has a higher sensitivity (lower % LOD/LOQ), can penetrate through thick samples and has easy-to-understand distinct spectral features from each formulation component. 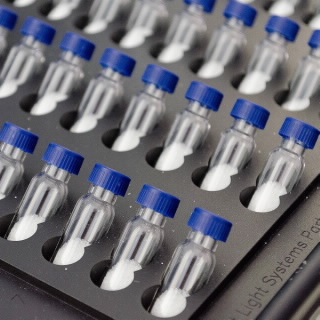 TRS100 methods are compatible with regulatory requirements as an alternative to HPLC for content uniformity testing. 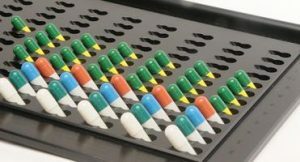 The instrument and software are designed to meet relevant USP, EP and 21 CFR part 11 requirements. Most active pharmaceutical ingredients (APIs) are crystalline materials with a well-defined polymorphic form. Manufacturing or processing can change that form, and, increasingly, amorphous APIs are used by formulators to increase bioavailability. 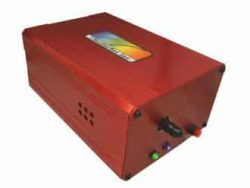 The TRS100 can directly measure low-energy crystalline vibrational modes (the phonon mode region) to quantify polymorph content in seconds and to a high precision in intact, formulated samples. 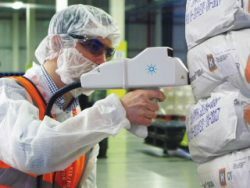 The most common technique for quantitative polymorph analysis is XRPD, which has a sensitivity limit of around 5% w/w and requires tablets to be crushed and sampled. 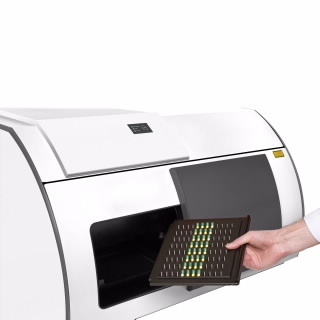 The TRS100 can detect residual polymorphs in a fully formulated amorphous API tablet with a limit of detection (LOD) of 0.1-1% w/w. The LOD is comparable with ssNMR but requires no sample preparation, is much quicker and requires less resource.